Dolpo is located at one of the largest Shey Phoksundo National Park in the mid-western region of Nepal. Since Doplo is hidden behind the massive Dhaulagiri ranges, it is the least developed region of Nepal where you can find the truest essence of remote Nepal. The people in this region are living a nomadic lifestyle. Many places are still left to be explored. The sceneries in this pristine region are completely unparallel to any of the trekking regions in Nepal. 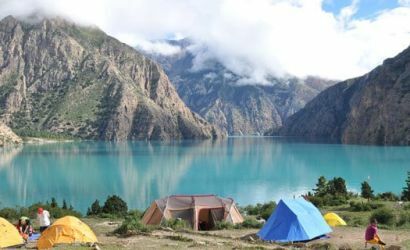 Trek through hidden valleys of Dolpo, visit ancient Shey Gompa, touch icy and turquoise waters of Phoksundo Lake. This is the restricted zone for trekking, thus in order to explore this area, you need to get a special permit.